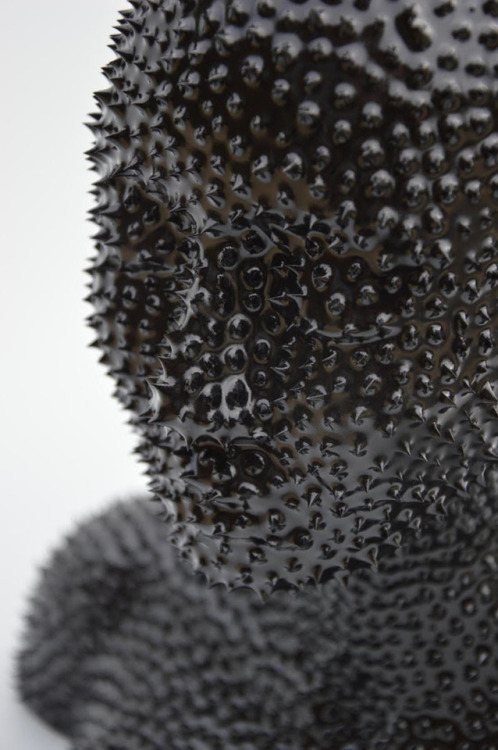 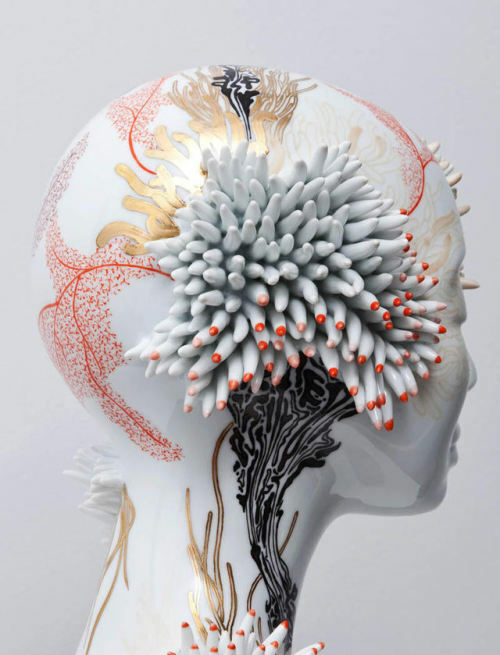 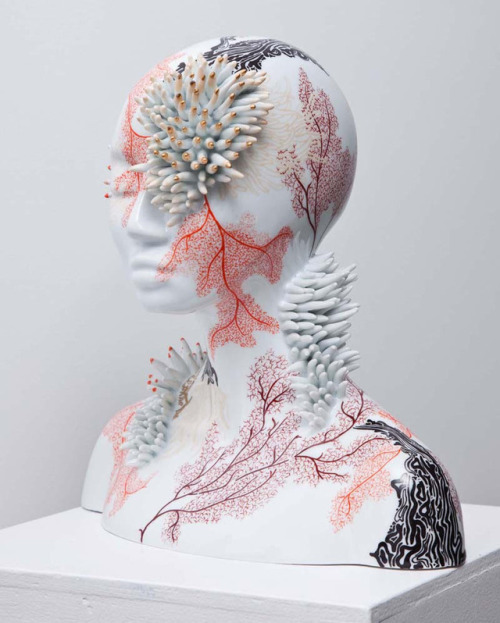 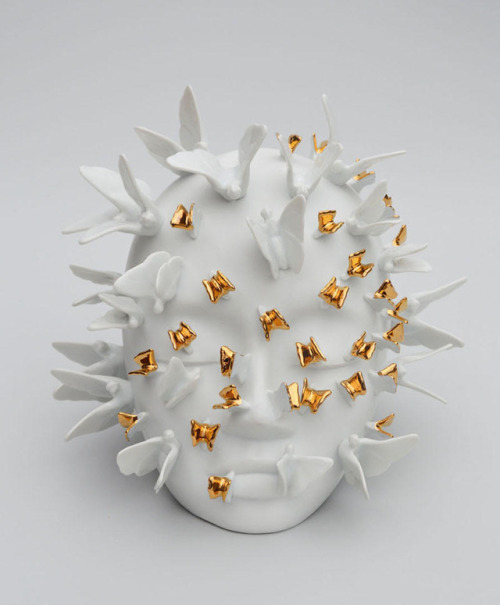 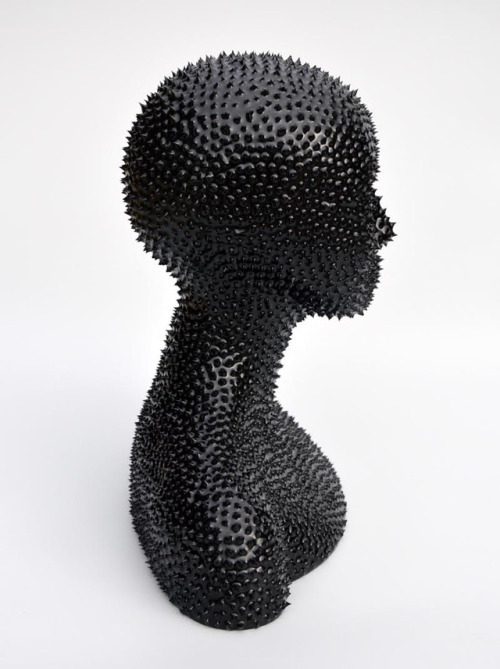 I am very pleased to present you the 4 last porcelain busts of Juliette Clovis : « Mechanitis Polymnia », « Millipora », « Black Baccara » and « Sternocera ». 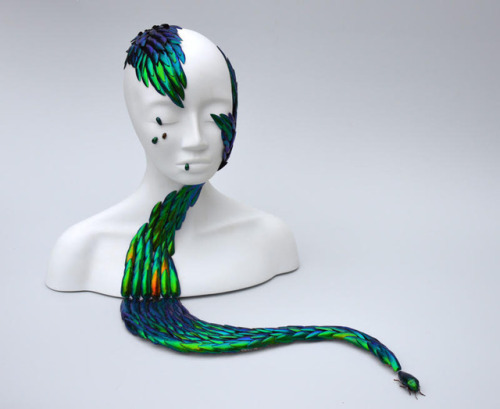 This last piece was made by the artist during a residency program at The Insect Museum of Nedde (France). 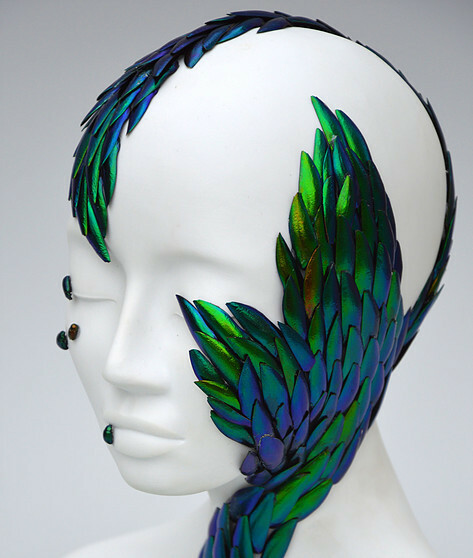 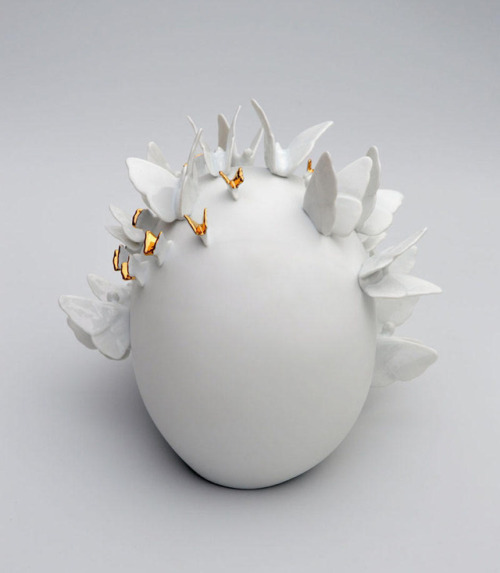 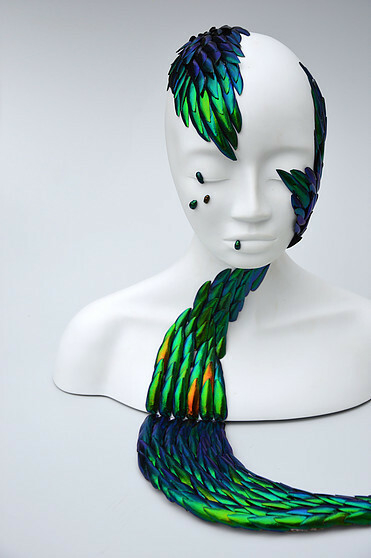 More than 500 real beetles’ wings were necessary to make this stunning piece where the incredible colors of these wings strongly contrast with the pureness of the porcelain biscuit.You can check more pictures of each piece directly on Juliette’s website.